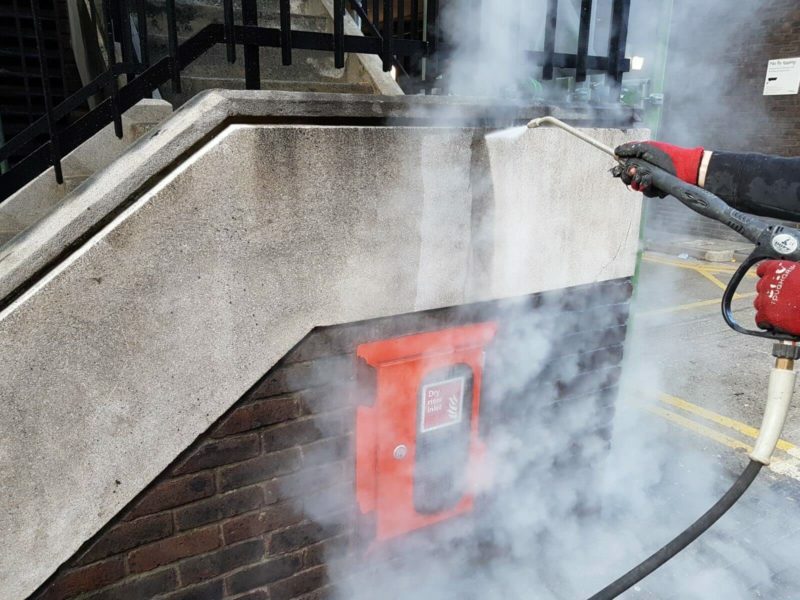 DOFF steam cleaning is an extremely effective way to remove stains, grime or dirt that covers the exterior surfaces of buildings. It allows you to quickly remove these stains while preventing the surface from being damaged in any way. 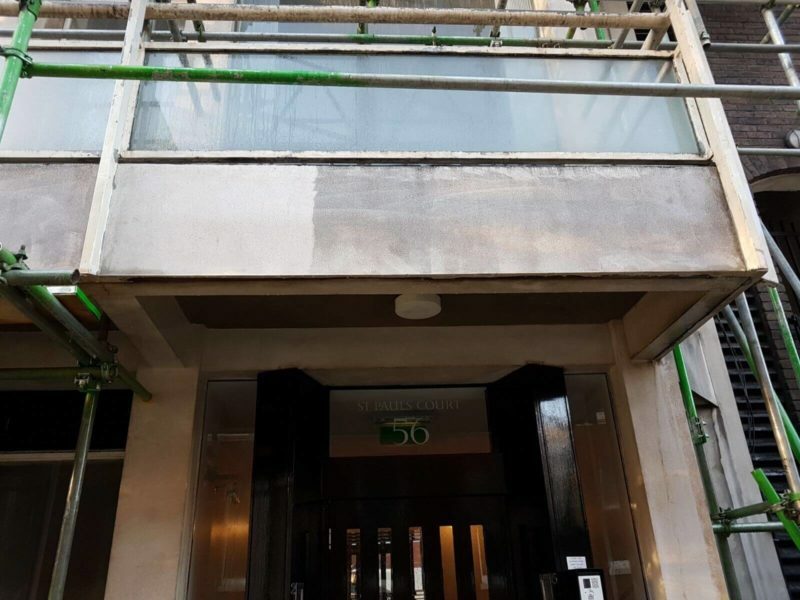 This gentle yet effective technique means that DOFF steam cleaning is highly favourable when it comes to removing stains from blocks and commercial properties. 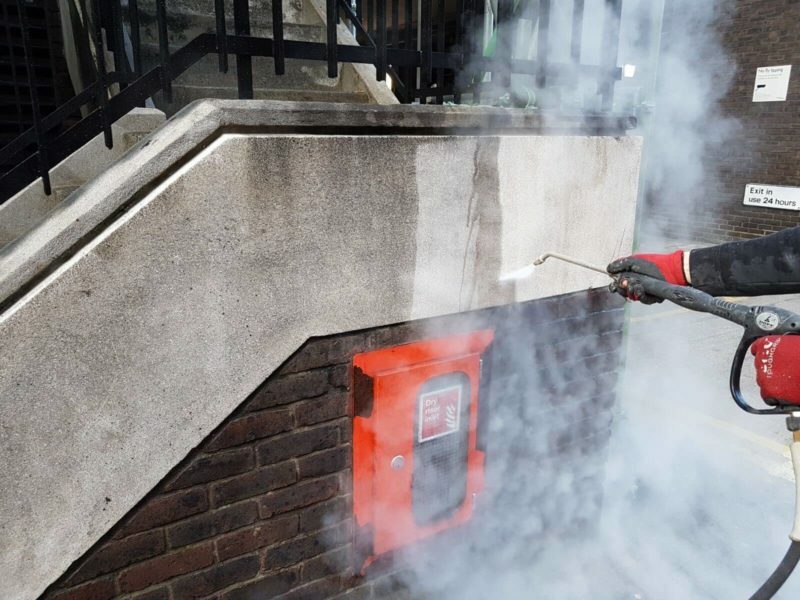 What Exactly is DOFF Steam Cleaning? 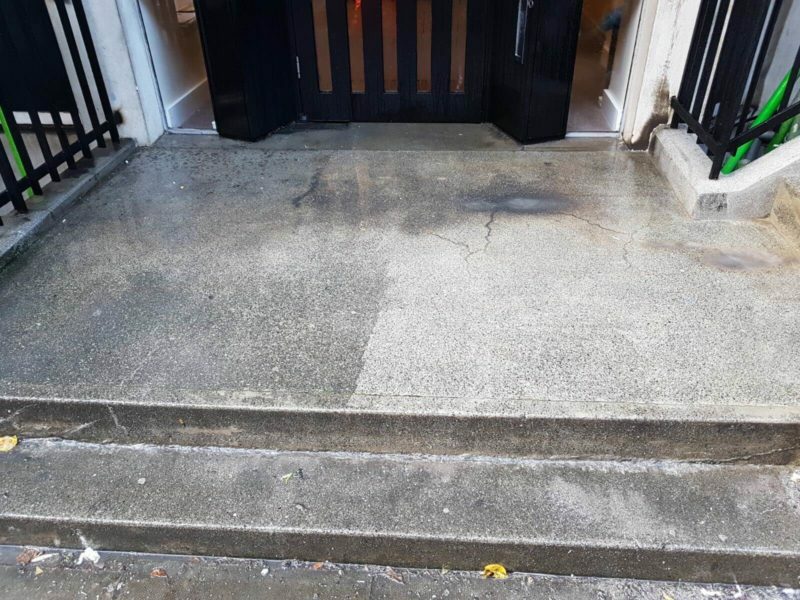 DOFF cleaning is the process of heating water to a very high temperature (up to 150°C), where it can then be applied to surfaces in order to remove tough stains & grime that has gathered over the years. 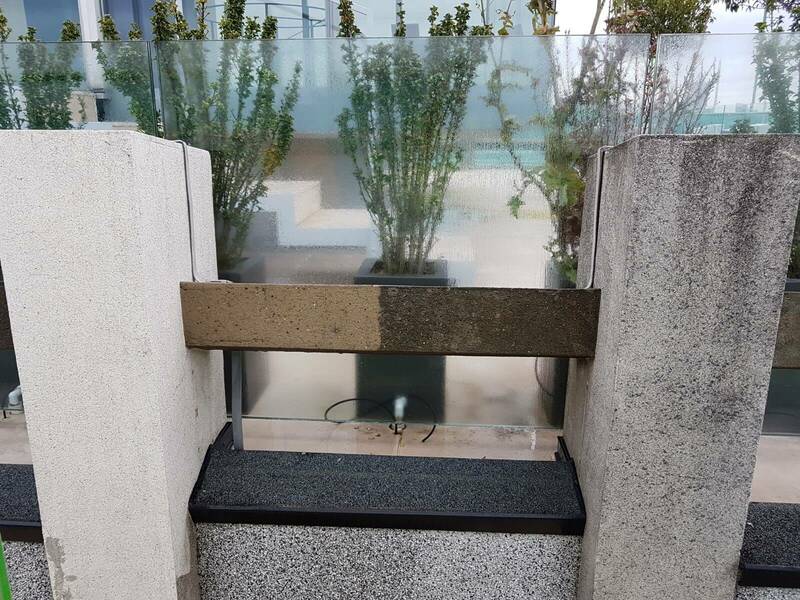 This kind of cleaning is typically used on large block properties and apartments, as it’s a very effective and efficient way of removing grime, dirt and stains. 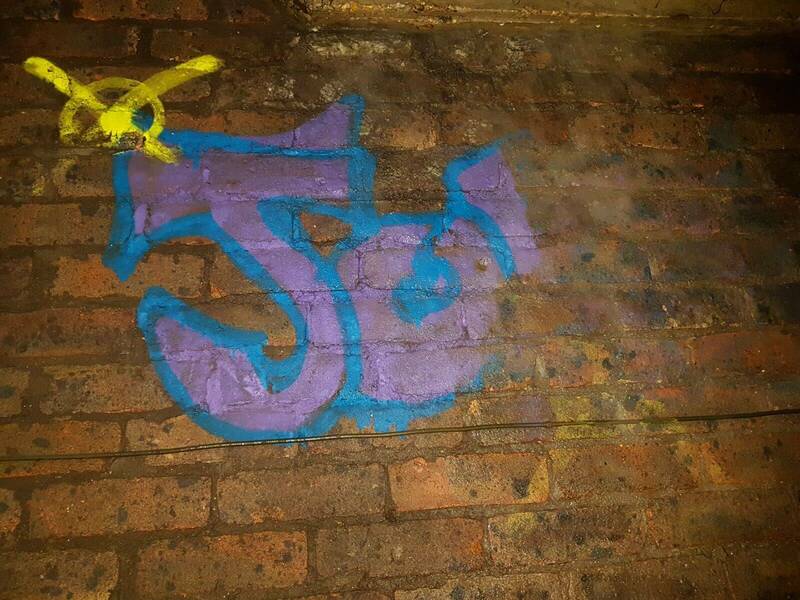 From our photos, you are able to see the stark difference between the cleaned and uncleaned portions on the block property.